Nell Thomas’ life is not at all she had hoped it would be. Sold into marriage by her father, she finds herself suddenly belonging to Andrew Amberton, a horrible, violent man whose previous wife died under suspicious circumstances. Andrew is hell-bent on having a child, namely a boy, so that he can claim his family inheritance, and Nell feels utterly hopeless, trapped in a cycle of abuse and manipulation. But one day, Nell’s life takes an unpredictable turn. Fleeing with her husband from the township with a coach full of gold, Nell is alarmed by a loud cracking sound that pierces her ears and she turns to her husband to discover he has been shot dead by a mysterious bushranger. Nell does not grieve for her husband – how could she? He was barely human. Rather, she readies herself for a future without him or his violence – a future where she is safe, secure, content. But Andrew’s death is not as final as she had hoped, and it sets off a chain of events that further risk Nell’s hoped for happiness and independence. Stranger still, is the way that these events seem to revolve around the handsome bushranger who murdered her husband. Against her better judgement, Nell finds herself increasingly drawn to him. And in order to survive the violence of the goldfields, she may even have to do the one thing she has tried to avoid at all costs…ask for the help of a man. 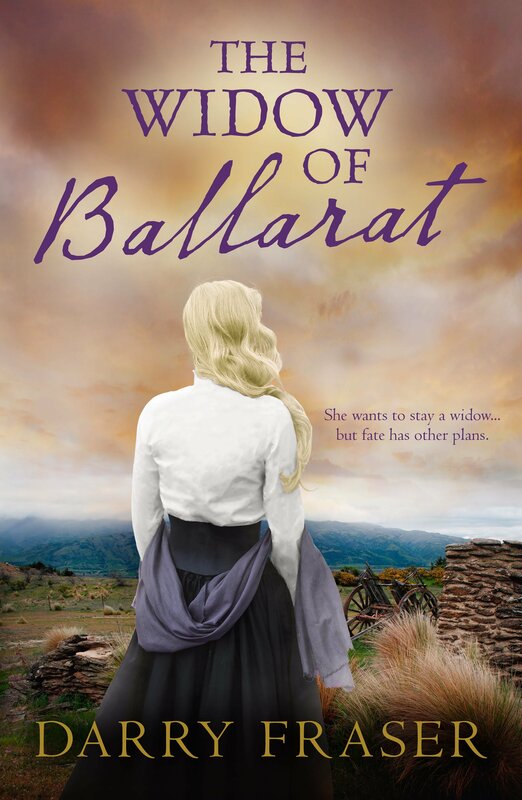 The Widow of Ballarat is a compelling story of passion, resilience, and a woman’s relentless quest for independence. 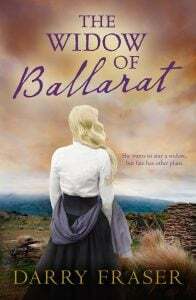 Set in 19th Century Bendigo amidst the brutal lawlessness of the goldfields, it provides a snapshot of the powerlessness of women back then. Women like Nell who not only had to fight for sovereignty, but for survival as they suffered at the hands of cruel, entitled men. It’s a powerful story, intense and emotional and some readers may find it confronting. Darry Fraser’s fiction (both contemporary and historical), is heavily inspired by the Australian landscape, and this shines through in her writing and in her vivid descriptions of the land, its native flora and fauna. Readers who enjoy being whisked away to another time and place will find themselves absorbed by the world that Darry has so carefully re-constructed, a world so vastly different in its ideas, people, and politics. 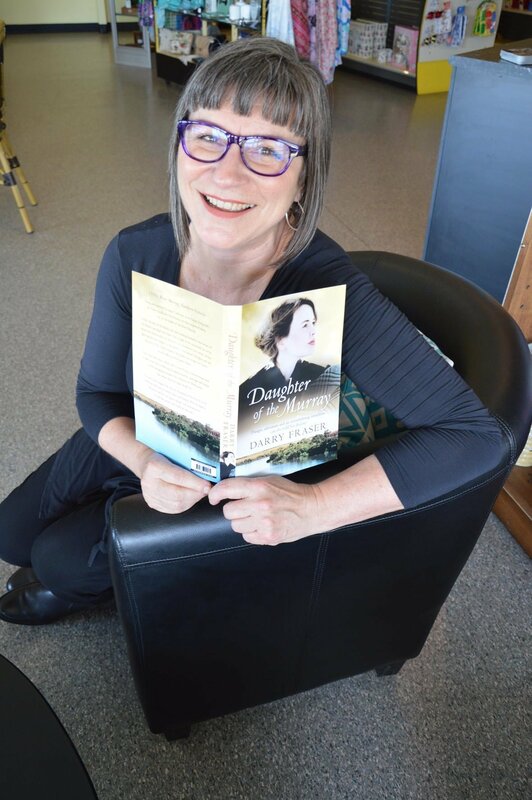 If you’re looking to end your year with a book that teaches you a thing or two about Australia’s history with a story that celebrates the amazing strength and endurance of women, then The Widow of Ballarat is certainly worth squeezing in before 2019. This sounds like a book my Mum would like she also grew up in Bendigo. Going to buy her this for Christmas.